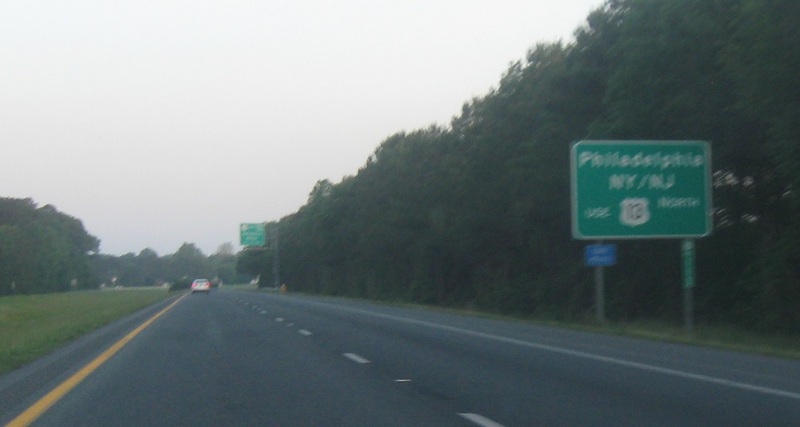 After the turn, we’re reminded to stay on US 13 north for points northeastward. Reassurance shield as 50 joins 13. 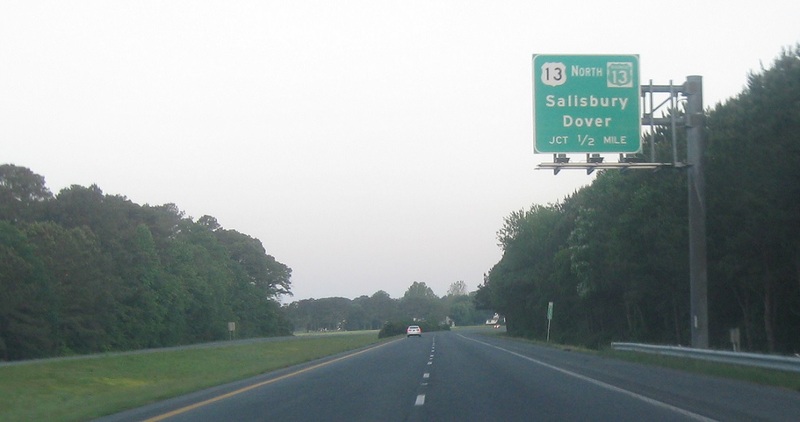 Shortly thereafter, US 13 will split as we approach its business loop. 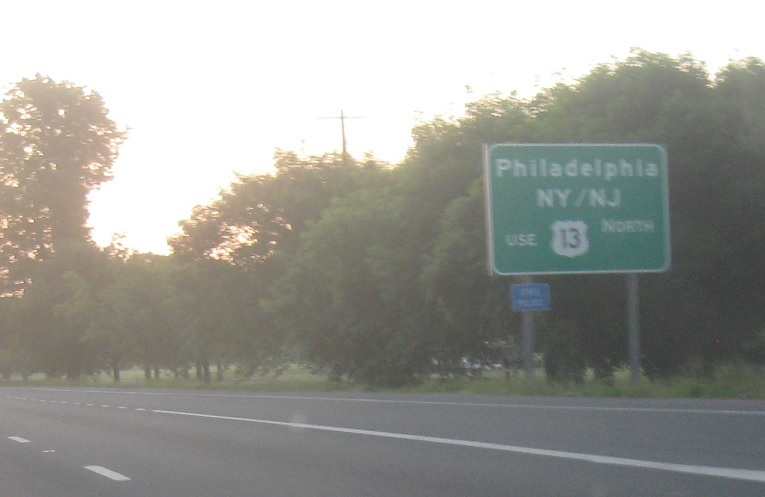 Reminder to stay on 13 north for Philly and the News. 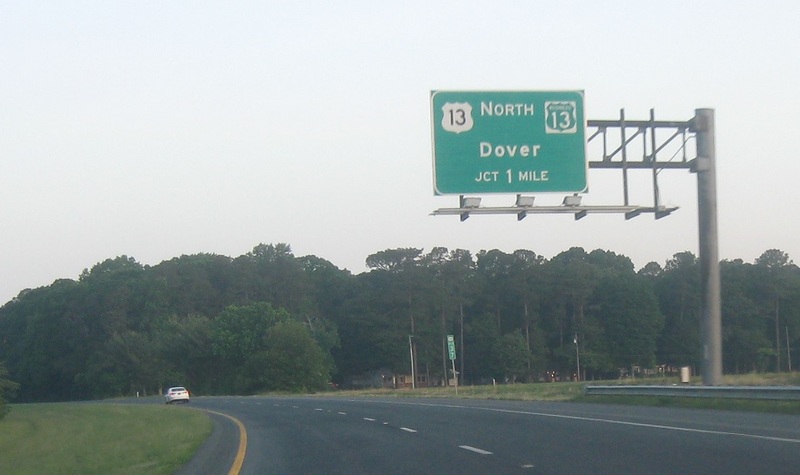 Before it gets too far north, though, US 13 heads to Dover, Del. 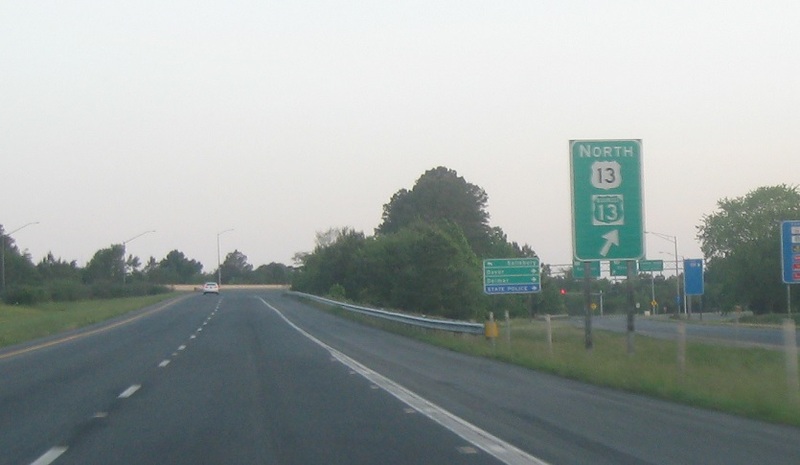 Exit for 13 north. 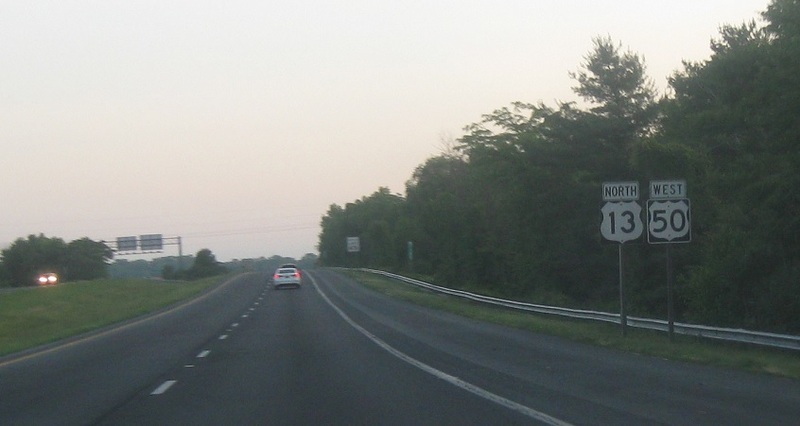 This is also the northern terminus of US 13 Business. Stay on 50 west for Cambridge and the Bay Bridge. 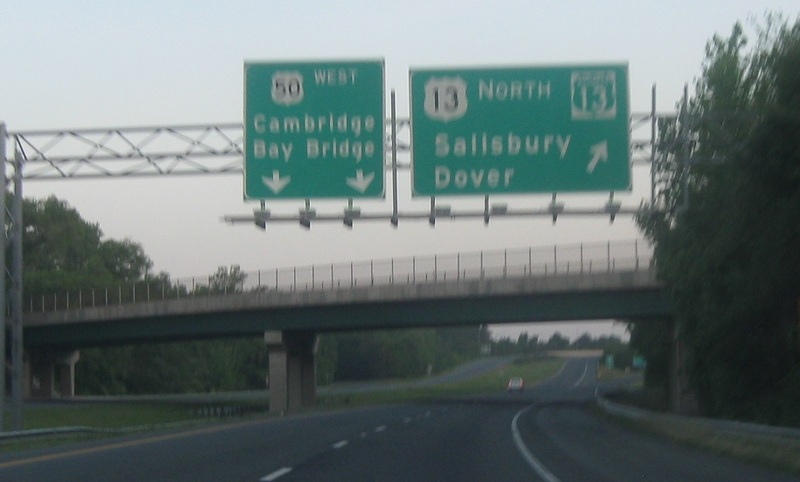 Exit for US 13 and US 13 Business.